TreePhilly Kickoff Thursday 2/20, 9:30am in Love Park! !Treephilly TreePhilly Kickoff Thursday 2/20, 9:30am in Love Park!! TreePhilly Kickoff Thursday 2/20, 9:30am in Love Park!! Join the TreePhilly team at Love Park on Thursday, February 20th at 9:30am to kick off our spring tree giveaway season! We will announce the schedule of giveaway events (register here) and hear from the Mayor and the TreePhilly “spokes tree!” If you come to the kickoff event and sign up to be on our email list you can get a special City of Arborly Love tee shirt! 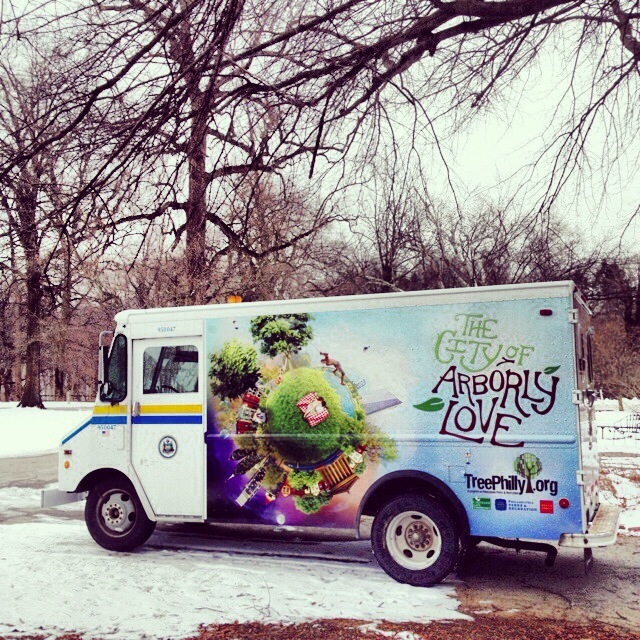 (while supplies last) The City of Arborly Love Tree Truck will also be at the kickoff event, come check it out! We will be driving around the city this spring giving away trees in this truck, so stay tuned to social media for updates on when the tree truck will be in your neighborhood!